The BJP is behind Pawan Kalyan. 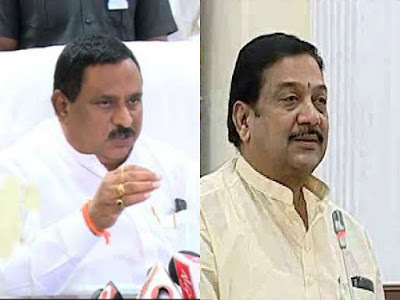 Deputy Chief Minister Chinnarajappa said Manikyala Rao's statement was clear that there is BJP behind Pawan Kalyan. Anyone who is strong in our party but how to say that Pawan is strong, he said. Pawan's behind is the only people who are kapus behind the Mudra. Pawan, who was in the AP, had a two-day tour. On Wednesday, another media student, Venkatrao spoke with the media. They are struggling occasionally. We are always struggling, said Chinnarajappa. Pawan Kalyan Venkatrao, the minister said, "Pawan has been in a position of uncertainty. The poor and the farmers are satisfied with the work of the government. How many people can contest together?